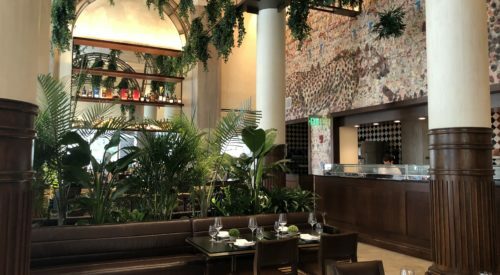 Nahita pops with jungle-like greenery. 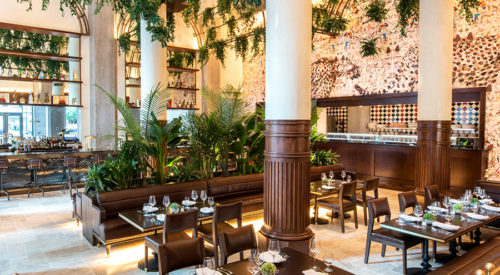 Brown leather banquettes are flanked by palm fronds, and plants drip from the lofty ceiling’s bronze arches. 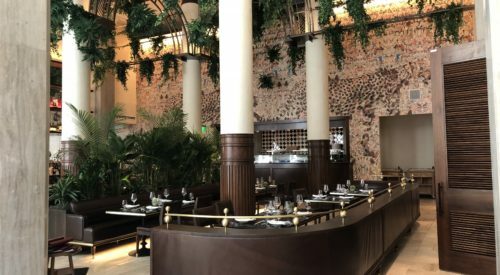 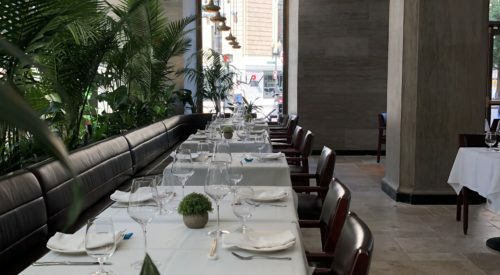 The 20-seat lounge and 160-seat dining room feature design fixtures like a wall-length mirror and a massive wallpaper mural of wild cats and other elements inspired by artist Peter Beard’s adventures in East Africa. 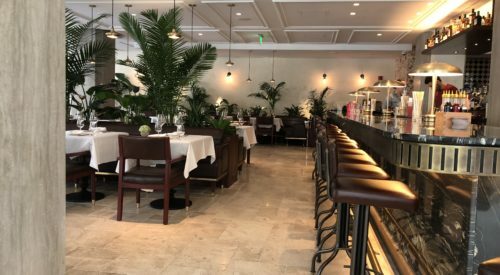 There’s also a 14-foot-long backlit seafood display, plus the marble Table 43, with front-row views of Arlington and Stuart Streets.